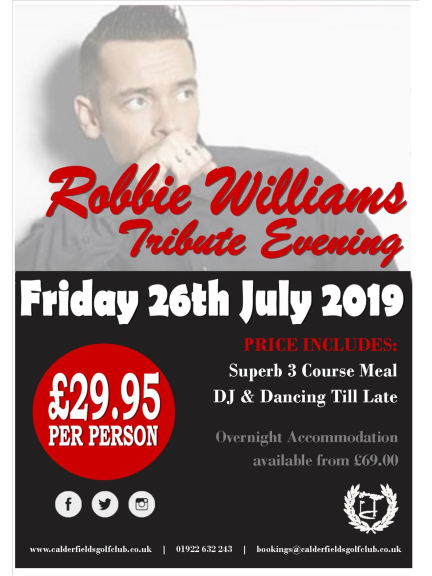 Danny Lowry returns as Robbie Williams on Friday 26th July 2019 from 7pm! Tickets only £29.95 per person including a set 3 course meal, live act and late DJ. Danny Lowry returns as Robbie Williams on Friday 26th July 2019 from 7pm! Tickets only £29.95 per person including a set 3 course meal, live act and late DJ.